Sizing/Info - ZonaBands - The No-Slip Adjustable Headband! ZonaBands are an athlete inspired, no-slip headband ideal for every sport, workout, or every day wear. ZonaBands are made without any metal components so they are comfortable, stay in place, and look great! We offer a large variety of glitter, prints and solids. We enjoy creating personalized and custom ZonaBands for teams or organizations. ZonaBands are proudly made in the USA! 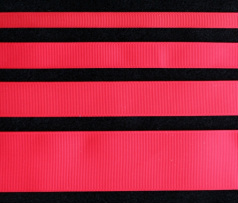 We now offer Adjustable Elastic, making our headbands one size fits all. If you need something smaller for kids under 4 then note that in the special requests area when placing your order. If you wish to have your "original" ZonaBand refit with our adjustable elastic, please Contact Us to make arrangements. 2014 and earlier: ZonaBands fit most adults and children. We sell them in two sizes: Child and Adult , but we are happy to make special sizes on request, such as Toddler or Tween. Most children ages 4-10 will wear Child Size, while many above the age of 11 will feel more comfortable in our Adult Size. *Please note: some children have larger heads and may wear an adult size; whereas some teens and even adults have smaller heads and may require a child size. Use your best judgment and we will be happy to make adjustments if necessary. For best results, we recommend hand washing your ZonaBands in cold water with mild soap and letting them air dry. Some customers tell us they throw them right in the washing machine....but that's your call! Please contact us if you need your ZonaBand altered within two (2) weeks of receiving your order.